Peptic ulcer is a disruption of mucosal integrity of the stomach and/or duodenum that can be >5 mm in size. This map links between all aspects of peptic ulcer disease, including disease's definition, types of peptic ulcer, complications, risk factors, etiology, clinical presentation, diagnosis, treatment, patient education, and follow-up. 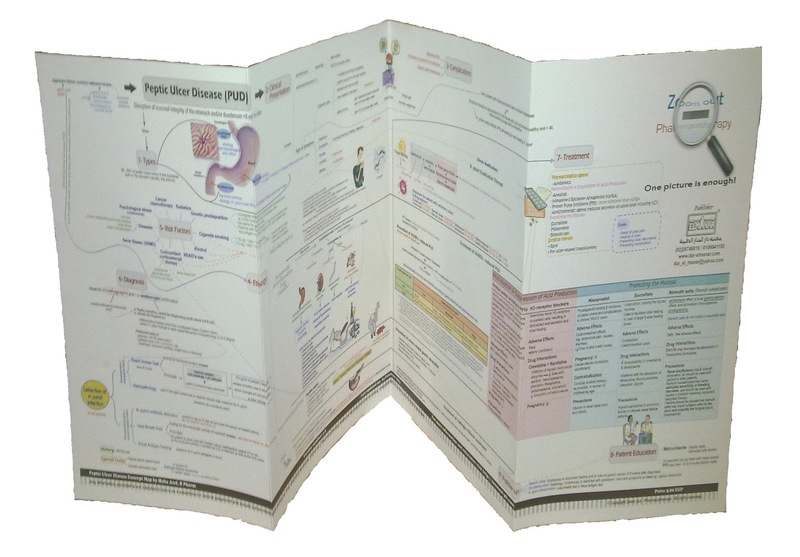 The map focuses on the link between peptic ulcer causes, diagnosis, and treatment. Whenever the cause of peptic ulcer is known through the diagnostic approach, the treatment can be determined. This means that treatment of peptic ulcer differs according to the cause of ulcer, i.e. treatment of peptic ulcer caused by helicobacter pylori infection differs from that caused by non-steroidal anti-inflammatory drugs (NSAID's) which in turn differs from treatment of stress-induced ulcer and Zollinger-Ellison syndrome. Ulcer site determines its type; gastric ulcer occurs in the lining of the stomach, duodenal ulcer occurs in the duodenum, and esophageal ulcer affects the lining of the esophagus. Peptic ulcer signs and symptoms can differ from patient to patient. Moreover, ulcer may not cause any symptoms or it may just cause an abdominal discomfort. Peptic ulcer symptoms include: epigastric pain, heartburn, dyspepsia, nausea, vomiting, and melena. gastric outlet obstruction, (causes dyspepsia and vomiting). Peptic ulcer disease occurs when aggressive factors (including: gastric acid and pepsin) overwhelm defensive factors (including: gastric mucus, bicarbonate, microcirculation, prostaglandins, mucosal barrier) that are involved in mucosal protection. This damage is caused mainly by 4 causes: helicobacter pylori infection, use of non-steroidal anti-inflammatory drugs (NSAID's), severe physiological stress, or hypersecretory states as Zollinger-Ellison syndrome. 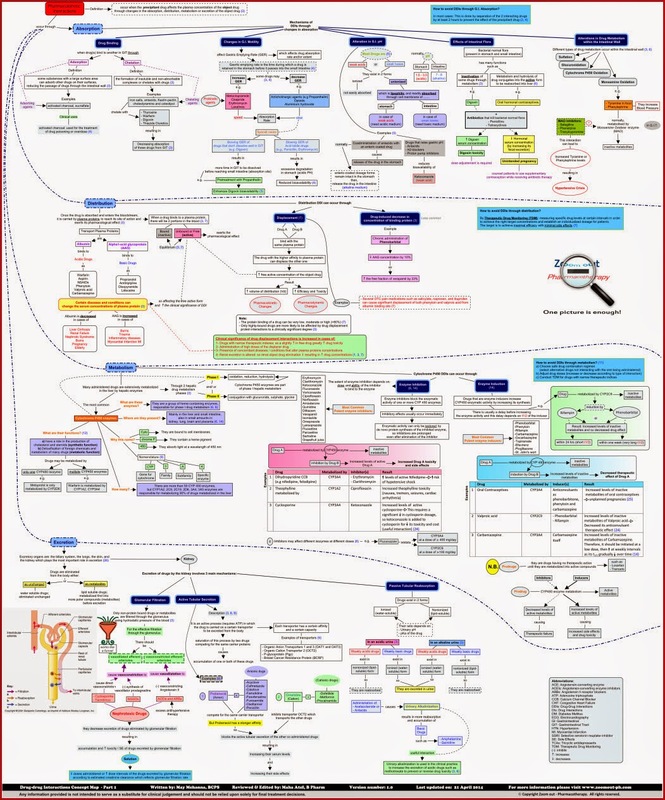 The map explains how each of the previously mentioned causes leads to ulcer. And here is a diagram showing how non-steroidal anti-inflammatory drugs' mechanism of action leads to ulcer formation through affecting the mucus barrier of the stomach and allowing acid to cause an ulcer. Include factors that aggravate ulcer formation and/or delay its cure. These factors are mentioned in the following part of the map. It is important to diagnose the underlying cause of ulcer disease properly before starting treatment, as treatment varies for different types of ulcers. Detection of helicobacter pylori infection. Follow up is to be conducted through the same diagnostic tests and / or procedure and depending upon ulcer type. Details are stated in the map. 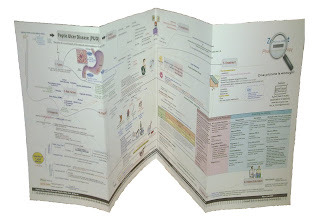 It displays peptic ulcer disease in a logical way; linking between ulcer causes, diagnosis, and treatment. Contains an easy-to-study peptic ulcer treatment protocols. These protocols are displayed in an organized way using comparison tables and funny cliparts that help in memorization. It makes "one unique picture" of peptic ulcer disease available in your mind for an easy recall of information during practice. The map is split into pages to be printed on four A4 papers. After printing them, you have to tape the edges together to make a folded poster. DiPiro, Joseph T. Pharmacotherapy: A Pathophysiologic Approach. 6th. The McGraw-Hill Companies, 2005. Enaganti, Santosh. "Peptic ulcer disease - the disease and non-drug treatment." Hospital Pharmacist 13. (2006): 239-43. Web. 8 Jan 2010. Goroll, Allan H., and Albert G. Mullay. Primary Care Medicine: Office Evaluation and Management of the Adult Patient. 6th ed. Philadelphia: Lippincott Williams & Wilkins, 2009. 537-48. Print. Le, Tri H., and George T. Fantry. "Peptic Ulcer Disease." eMedicine. 17 Jul 2008. Medscape, Web. 8 Jan 2010. <http://emedicine.medscape.com>. "Peptic ulcer." General Practice Notebook. Oxbridge Solutions Ltd�, Web. 8 Jan 2010. <http://www.gpnotebook.co.uk>.